Whether it’s a pool, lake or ocean, summer is the time to make a splash. But before you cannonball into the water, plan ahead and keep in mind important safety tips. CPR and first-aid courses are easy to find and the time you put into them is paid back in full with the assurance that you know how to handle swimming emergencies with children and adults. Check with your local hospital for a class schedule, or find one online through the American Heart Association’s website. Be aware that not all drowning victims have immediate distress. 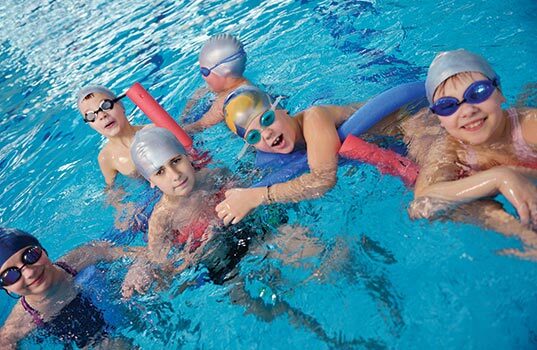 “Secondary” or “delayed” drowning can take seven hours or longer to develop. Even if a child appears to be OK, he or she should be treated at a hospital if there has been significant choking or aspiration. Be a Smart Pool Owner. If you have a pool, ensure that you have the proper safety features in place to protect children of all ages.. These can include sturdy pool covers, fences, alarms, rescue equipment and safe drain covers for pools and hot tubs. Phillip Cecchini, M.D., is a board-certified family medicine physician with Mission Heritage Medical Group, part of the St. Joseph Hoag Health network of care with Mission Hospital.